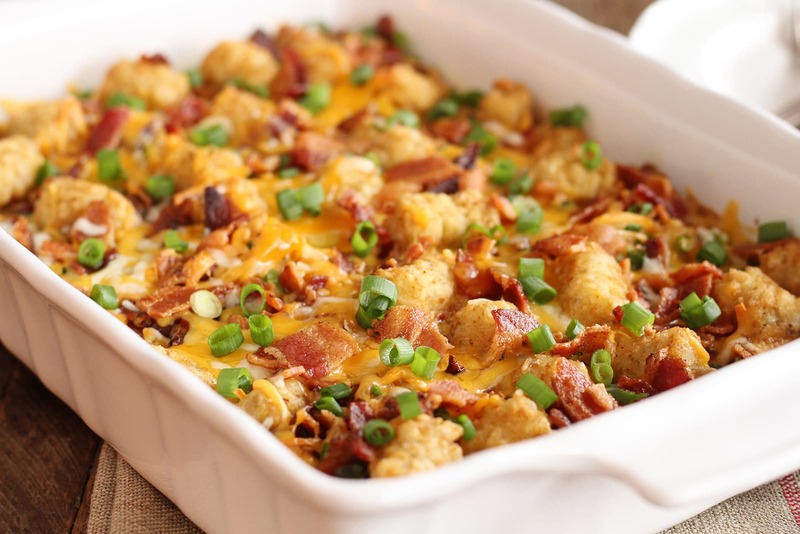 This unique twist on a classic breakfast casserole includes tater tots, scrambled eggs, and crispy bacon. Top with salsa or a dollop of sour cream for some added flavor. Recipe courtesy of Southern Bite.